A quick post this morning with a sparkly holiday card. 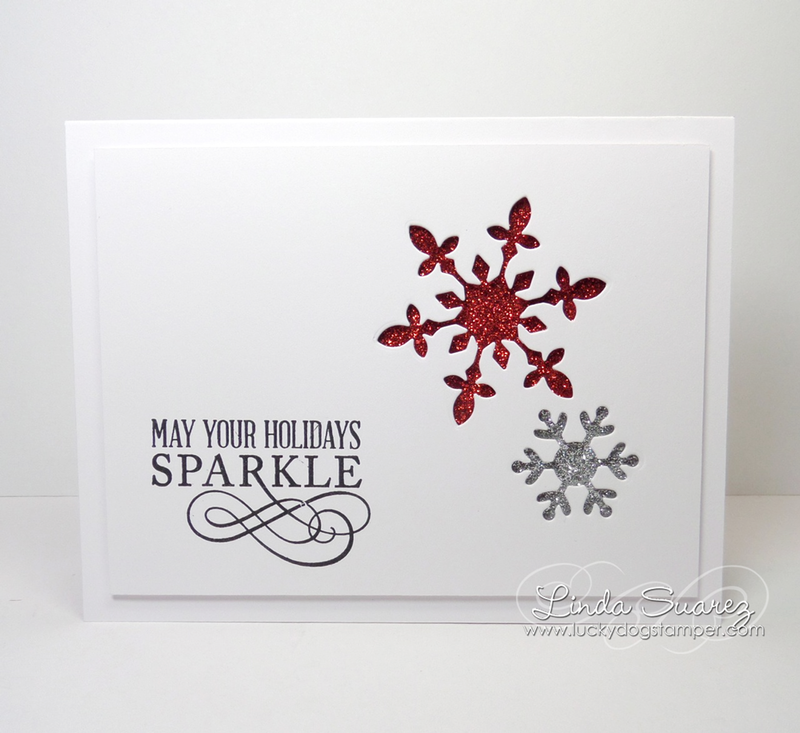 This was a quick card which I wasn't even planning to make until I picked up my snowflake dies to put away and was inspired by these two that were still attached together. Simple, clean, quick and mailable! Yay! 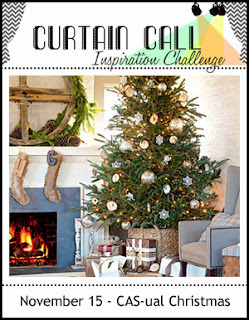 I'm submitting this card at the Curtain Call Inspiration Challenge: CAS-ual Christmas. What a fabulous CAS card--love this! wonderful! thanks for playing along at the Curtain Call!